With over 15 years experience as an established makeup artist, Catherine Lawler-Rohan wanted to position SMMH as the preferred company for many exclusive modeling agencies, wedding planners, photographers and salons. 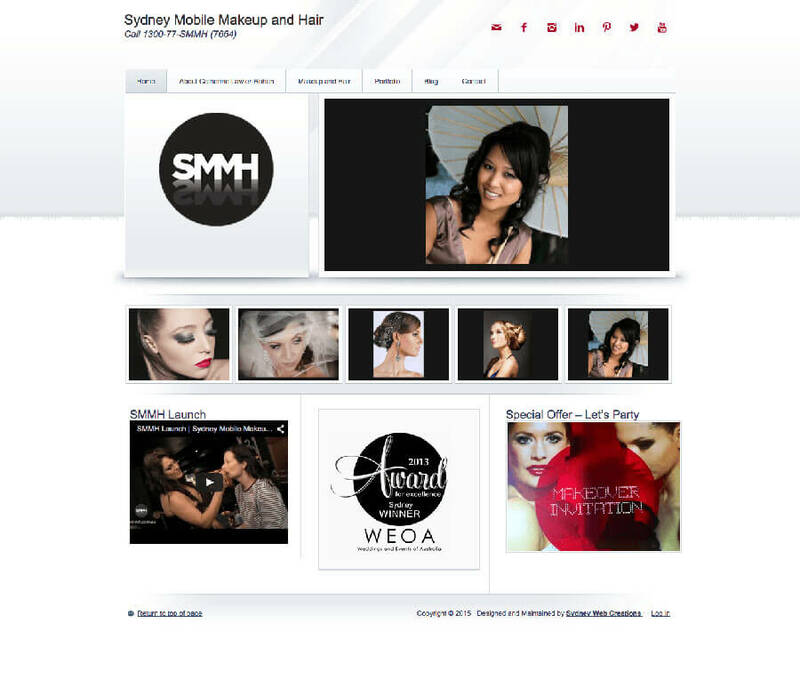 Although Catherine already had a website it didn’t reflect the SMMH brand and postioning. 3-Degrees embrassed the challange of building a sleek modern site that would not only reflect the proffessional MUA assignments during the week but also showcase the Bridal makeup on the weekends.